You've received a cryptic text calling you to an ancient cemetery. You arrive to find a dark keeper kidnapping and trapping souls! With the balance disturbed, no one is safe. 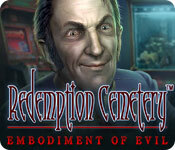 Can you stop the evil Kyrkogrimm before its too late, or will you become the cemetery's newest resident? Find out in this spine-tingling hidden-object puzzle adventure!